Cooling and freezing are needed to preserve our food’s and other goods’ freshness or edibleness and for other uses as well. 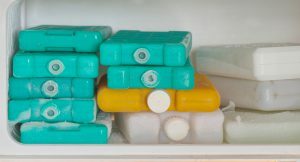 However, it is always a problem for us on how we can keep our goods in a cooling condition when we travel or go to places where refrigerators or freezers are unavailable. Because of this, manufacturers introduce ice packs or coolers on the market to make our lives easier. 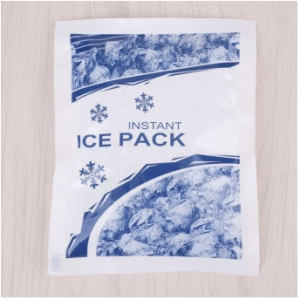 There are, however, many types of ice packs you can choose from, depending on its features. To help you narrow down your search for the right ice pack, we will reveal the top 10 best ice packs in 2018 in this article. On top of that, we will also give you some helpful tips on how to choose ice packs wisely. So buckle up now because this will be a fun journey! Before going through the top 10 best ice packs, let’s first discuss the important considerations of buying an ice pack. This will make sure you’ll only get the best, just right for your choice. The essential point to consider when buying an ice pack is the temperature and how long you want your goods to remain cold. If you’ll only select something that you think looks trusting, that won’t do good because it’s not an assurance. So please take note of the guidelines below on how to correctly choose ice packs. What goods would you like to stay cold? Knowing this will help you think about the temperature capacity of the ice pack you should get. Drinks and boxed lunches need a zero-degree type because they only need to remain cold, while for fresh foods like a marinated pork chop, you’ll need a freezing type to retain its freshness. The logic here is simple. If you want the cooling process to be longer, choose the one that has a longer capacity of keeping your goods cold, which also means the one that takes a longer melting time. The only disadvantage with this type is that it also takes time to freeze it too! So try to weigh things first before getting this one! One thing to keep in mind too is the temperature of the surroundings you’ll take the ice pack to. The reason why some manufacturers don’t put the duration on the label is that the cooling duration will also vary on the surroundings. If it’s hot, then most likely, it will melt easily. 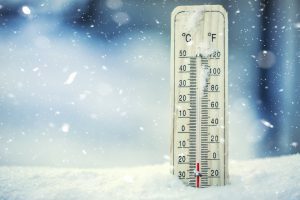 It is said, however, that cooling lasts longer with the zero-degree type than the freezing one. It is understandable that the best type is the one with great cooling temperature and better cooling duration. How can you cool down your goods well that will also last longer? If there are types on the market that can fit the ideal temperature and cooling duration, then that’s the one! However, there are a few hacks that you can do to make the cooling effect last longer, regardless of the type. If you’re cooling a marinated pork chop placed on a flat-surface styrofoam covered with plastic and a bottled soft drink, for example, you can place the meat on a standing position, with the side covered with plastic facing the bottle. This way, it improves the cooling effect and makes it last longer because it utilizes the space at its maximum, lessening the gaps inside the pack. You can purchase the zero-degree type at low prices, depending on the manufacturer as well. If you still can’t choose yet, you may try each type and see how it goes. 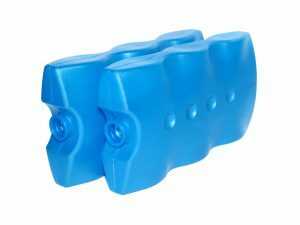 This point is mostly overlooked because we always focus on the cooling function of the ice pack. 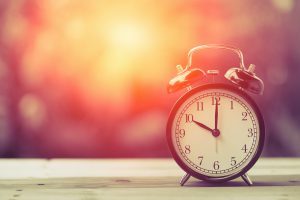 Checking the cooling hours is significant, especially if you will take two or more days of camping, for example. There are some that even require 48 hours of cooling. However, there are many items on the market now that only require a shorter time of cooling but last longer. So make sure that you get the cooling hours right to fit what you need. In terms of texture, ice packs only come in soft and hard types. A soft one is sufficient for one use only because it easily tears apart. However, if you’ll use it multiple times, especially if it’s consecutive, you better get a hard type that has greater durability. You also need to take note of hard ice packs that accumulate water droplets on the outside when used multiple times. This is an indication that the ice pack has lost its cooling strength. 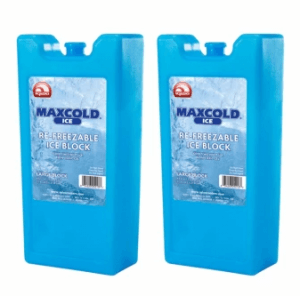 The cold droplets, which are supposed to be the helping agents to cool your goods, simply come out from the cooler, lessening the ice pack’s cooling effect. The more droplets it produces, the shorter the coldness lasts. So make sure this does not happen. 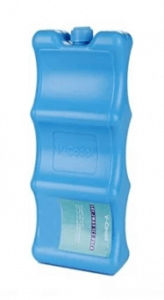 Now, we will present our recommended list of the top 10 best ice packs online. Each description will help you assess which product is suitable for your needs. 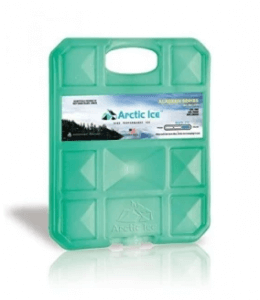 This incredible ice pack from OEM is a perfect substitute for cold-producing mediums such as ice cubes! It’s made of a high-quality biological material through a high-tech process, which is conveniently safe for your health. This is great for everyone in the family, from kids, teenagers, adults, and to seniors! It’s excellent for multiple uses as well because it’s reusable and elastic. 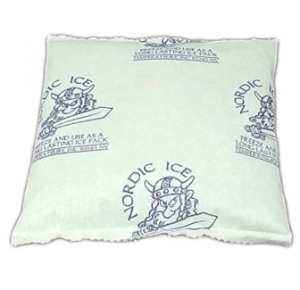 The ice pack is non-toxic too, which is perfectly safe. It also has a high cold capacity that lasts for up to 72 hours. Just simply inject drinking water into the ice pack, store it overnight in your freezer, and your all set! This ice pack is created to keep every milk bottle of your baby cold. This is excellent for moms of new-born to 3-year-old babies. Its fresh-contoured, brick-like shape allows you to comfortably store your baby’s milk bottles. You can also store your baby’s food by utilizing its distinctive pattern. 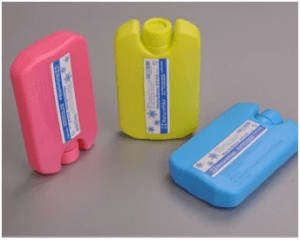 The ice pack has a cheerful color of blue that matches a baby girl or boy. You can also cool your baby’s goods for up to 12 hours, great for a whole day’s bonding with your baby. It’s made of a high-quality material that makes it a long-lasting cooling friend! This wonderful ice pack is designed to triple your cooling experience when in camping. It’s an ice pack for people who love camping and other outdoor activities. You can simply fill these in with water and freeze it overnight for your next day’s outdoor activities. 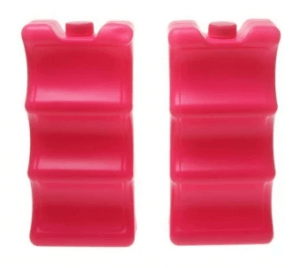 Each mini ice pack is made of plastic resin that assures a great and durable packaging. It’s also portable and easy to use that you can quickly bring it anywhere you want. Just store these minis in a cooler box with your drinks and other foods, and you’ll be ready for camping! The ice pack is known for its versatility and flexibility because you’ll run out of ideas on how to use it! It’s a recommended ice pack for people who love to go to the beach and enjoy the splashing waves of the ocean under the heat of the sun. This is amazing too because in each pack, you’ll get two pieces that you can use by just simply cutting it in half. The pack is made of a polymer material in a form of a flat sheet, which is really convenient when placed in your food coolers for a long-day beaching. It can also stay frozen for several days, especially helpful during the long summer months. It is safe and non-toxic as well, good for your health. So enjoy beaching while staying cool all the time! Although this ice pack is primarily created for first-aid treatment, this also offers instant cooling for your drinks and foods anywhere. This is an amazing ice pack for people who love outdoor activities like camping, hiking, beaching, and picnicking. It has a creative print that makes it look trendy and elegant. Just simply fill in the pack with a sufficient amount of water and let it freeze overnight. You can place this in your cooler along with your food and drinks, and you’ll be merrily ready for a whole-day outdoor activity! This Arctic Ice cooler is specially made to be used multiple times – up to 100,000 times – which makes it a very useful ice pack. It’s also created to be non-toxic that keeps you safe all the time. It’s an ice pack for almost everyone – families who love outdoor activities, party-goer friends, and friends and family who like to go to the beach together. It’s primarily made of an all-natural material, which is derived from various vegetable oils. The pack can also store up to 2.5 pounds of ice, great for the whole family and for a large group of friends. Its freezing point is at 1 degree Celcius, which lasts longer than the traditional ice! This OEM ice pack for breast milk is a great helping friend for cooling breast milk from Filipino moms. It’s a helping friend for lactating moms who want to store their fresh breast milk at a cooling temperature. It’s also helpful for moms who have difficulty releasing milk at times when their babies demand it. They can simply accumulate milk from time to time and cool it nicely with the pack. It promises to be brand new, which offers excellent quality, and is safe because it’s non-toxic. It allows you to cool your breast milk for up to 8 hours, just right for your babies few drinking demands. 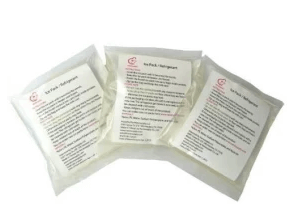 These three friendly ice packs will eventually satisfy your baby’s needs! You wouldn’t ask for more if you have this ice block from Igloo! It’s large enough to cool all your goods when you go out and have fun. This is recommended for people who love camping for several days and for frequent travelers. This comes in a set of two that you can enjoy. It’s entirely designed to be non-toxic, which is perfectly safe for you and for your loved ones. Each block contains a refreezable ultratherm gel that can maximize its cooling capacity. 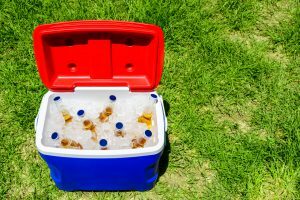 You can toss a block in your cooler for a long-lasting cooling on your goods! This ice pack boasts a leak-free packaging because of its durable fabric. It’s awesome for party goers and for those who love doing picnics and camping with friends. It also assures that it has no water mess and soggy sandwiches. The ice pack is amazingly reusable for multiple uses. It perfectly freezes like solid that keeps a great cooling effect for up to 6 hours. Just freeze the pack overnight to experience its solidity. You’ll surely have a remarkable cooling of goods with this ice pack! The number 1 on our list is wonderfully made to cool babies’ milk and other goods. It’s highly recommended for moms with 0- to 3-year-old babies and for families who love to enjoy outdoor activities. Its material is made of high-density polyethylene that is eco-friendly and prevents bacterial growth. It can cool your baby’s milk and other goods for up to 12 hours, keeping its freshness. Its contoured shape perfectly supports a bottled milk and can maximize space when placed in a cooler. It comes in colors of red and blue that you can happily choose from, whether for your babies’ goods or for your families food and drinks! 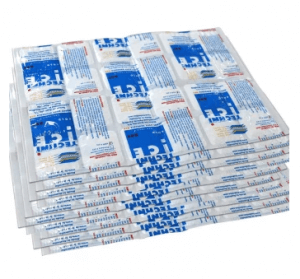 Although you have the list of the recommended ice packs, it is significant at this point that there are a few reminders you must remember when you finally use them. Using it safely and wisely is the key to maximize its usage. 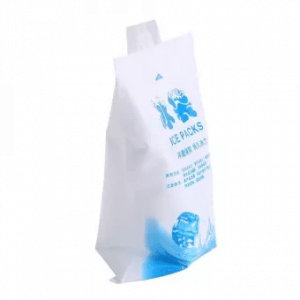 The freezing process of these ice packs varies too, depending on the design of the packs. The freezing type needs a lot of attention because it eventually takes time to freeze. 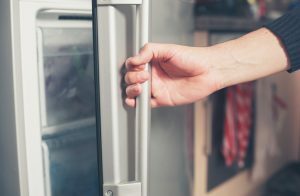 You have to increase the coldness of your refrigerator to achieve its exact freezing point. If you don’t follow this setup, the tendency of melting the ice quickly is high. So make sure you always increase the freezing temperature of your refrigerator when using the freezing-type ice pack. It’s also safe to check the instructions on the package of how the freezing process should be done. Let’s become environmentally aware citizens. When disposing of ice packs, please include them in your flammable garbage bin. Although their material varies as well, it’s safer to just consider them as “flammable.” You can also contact your local government on how to dispose of the ice packs for an assurance. 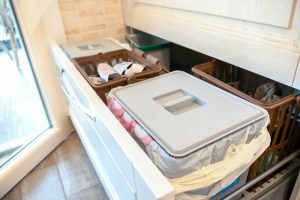 It is also advised to treat the ice packs like diapers when disposing of them because they have similar materials used. They are absorbent in nature and may become a problem in your pipes if you don’t dispose of them properly. So be responsible and take care of your garbage! Regardless of how you will use the ice packs, it is essential to always remember the important points of buying one. You don’t want to waste money and buy something that’s not with great assurance. Ultimately, at the end of the day, its performance matters!